Established in 1829, D. G. Yuengling & Son is the oldest operating brewing company in the United States. Based on volume of beer sold in 2015, it is also the top craft beer company in the country. The brewery was founded as the Eagle Brewery by German brewer David Gottlieb Jüngling. Establishing his brewery in Pottsville, PA, Jüngling anglicized his surname to Yuengling. In 1873, it changed its name to D.G. Yuengling and Son after Frederick Yuengling joined his father in operating the company. Although Yuengling is headquartered in Pennsylvania, where its 19th century brewery remains in operation, Yuengling’s largest brewery is located in Tampa, FL. Here, free behind-the-scene tours are offered daily illustrating how “America’s Oldest Brewery” uses modern technology to brew fine beer in a time-honored tradition. Supplying Yuengling’s Southeast market, this 62-acre brewery’s history includes many of the country’s most renown beer producers from the Midwest. Tampa’s Yuengling brewery dates back to 1958 when the Joseph Schlitz Brewing Company expanded into Florida, building the brewery on top of a former World War II era U.S. Army Air Force base. Founded by August Krug, as a tavern brewery in Milwaukee in 1849, Schlitz had grown to become the country’s largest beer producer by the time it came to Tampa. Schlitz’s appeal began to decline in the 1970s when its Schlitz beer brewing process as changed to reduce production costs, causing its beer to lose flavor and consistency and spoil more quickly. After a disasters sales campaign and major strike at its flagship Milwaukee brewery, Schlitz was acquired by the Stroh Brewing Company in 1982, resulting in Stroh becoming the country’s third largest brewer. To satisfy a Justice Department antitrust requirement, the Detroit-based brewery dating back to 1850, traded the Tampa brewery to Pabst Brewing Company for a plant in St. Paul, MN in 1983. Founded by Jacob Best in 1844, Pabst was renowned in Milwaukee for its brewery tours where visitors were rewarded with bottomless glasses of beer. However, Pabst wouldn’t hold on to the brewery for long. In 1987, after the antitrust requirement expired, Stroh took the Tampa brewery back. In 1996, Pabst became a virtual brewer, contracting all of its beer production to Stroh. 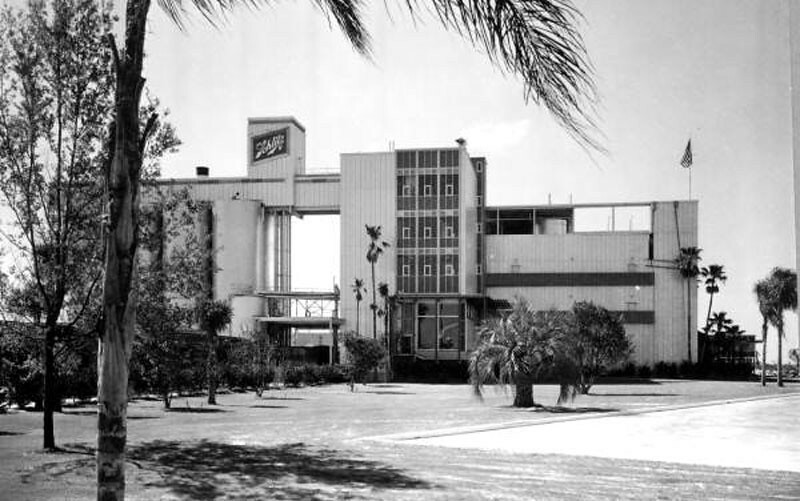 After losing Pabst’s contract in 1999, Stroh closed the Tampa brewery resulting in the lose of 154 manufacturing jobs. Stroh’s bad fortune created an opportunity for Yuengling, which had benefitted from rapid growth, following the 1987 reintroduction of its flagship brand, Yuengling Lager. By the 1990s, demand in the Northeast outstripped the bewery’s production abilities. 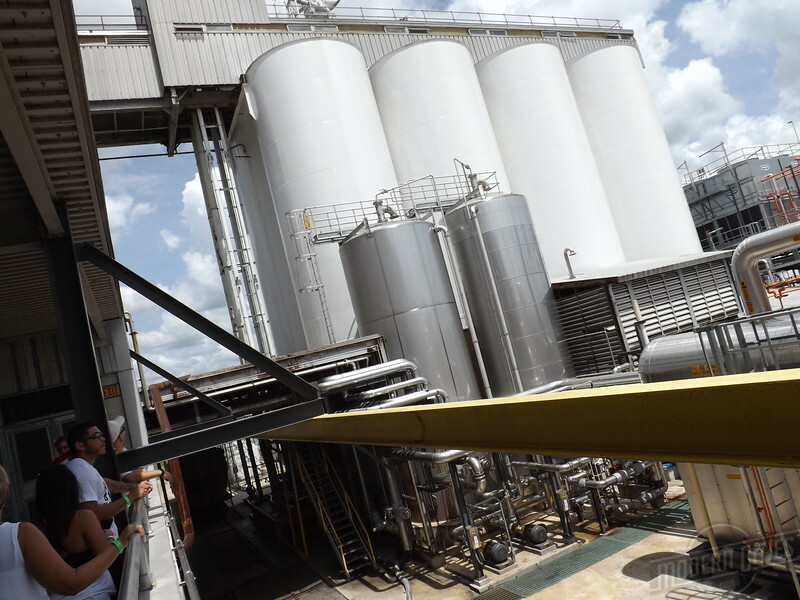 The 1999 acquisition of Tampa’s recently closed plant allowed Yuengling to meet its Northeast production needs, while also providing opportunity to expand into the rapidly growing Sunbelt market. In 2013, Yuengling completed construction on a new brewhouse, increasing the brewery’s 475-barrel system to a 675 barrel system. Today, Yuengling’s Tampa brewery produces around 1.5 million barrels of beer annually, enabling the company to distribute its products in Alabama, Connecticut, Delaware, Florida, Georgia, Maryland, Massachusetts, New Jersey, New York, North Carolina, Ohio, Pennsylvania, Rhode Island, South Carolina, Tennessee, Virginia, Washington, D.C., and West Virginia. If you find yourself in the Tampa Bay area with time to spare, the D. G. Yuengling & Son brewery is the perfect place for an afternoon excursion. 1. The Tampa brewery receives several railcars of grain each week. Grain is then stored in silos until needed for beer production.